NASHVILLE – For the first time in club history, Nashville Soccer Club is undefeated. A 2-0 win over USL newcomer Loudoun United FC last Saturday at First Tennessee Park in NSC’s season opener gave the future Major League Soccer club three points and a 1-0-0 record on the young season. A tougher test awaits Nashville SC this week. In comes Saint Louis FC, fresh off a 2-1 victory over Eastern Conference favorite Indy Eleven. Kickoff will be Saturday night at 7 p.m. back at First Tennessee Park. Saint Louis FC is in its fifth season in the USL Championship, and has switched conferences following each of its previous four seasons, meaning Nashville didn’t play STL last year as it was a member of the Western Conference. Saint Louis made the playoffs for the first time in club history last year as it claimed the eighth and final spot in the West. Many of its core group of players from its playoff run are back in 2019 including its leading goalscorer Kyle Grieg. 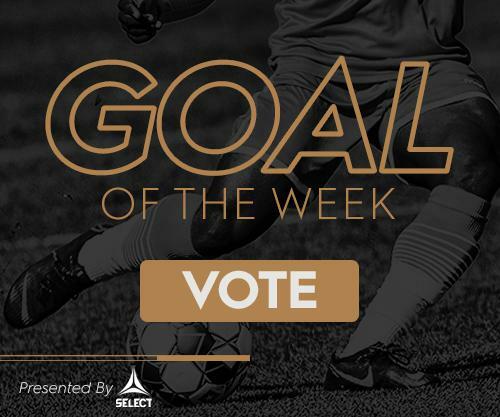 Grieg potted 13 goals last season, good for t-14 in the USL and top 10 in the Western Conference in 2018. In Saint Louis’ win last week, Grieg got on the scoresheet, assisting on the game-tying goal in the second half. One familiar face not returning with Saint Louis FC is former Nashville SC forward Michael Cox. Following a midseason trade in 2018 from Nashville to Saint Louis, Cox scored three goals down the stretch to bolster Saint Louis to a playoff spot. Cox has signed with Canadian Premier League team York 9 FC for the 2019 season. In the Western Conference last year, where defense is at a premium, Saint Louis was one of the best in the conference. Saint Louis allowed 42 goals in 34 games last year, good for the fifth-best total in the West. It appears the defense could again be stout after holding a potent Indy offense to one goal last weekend. 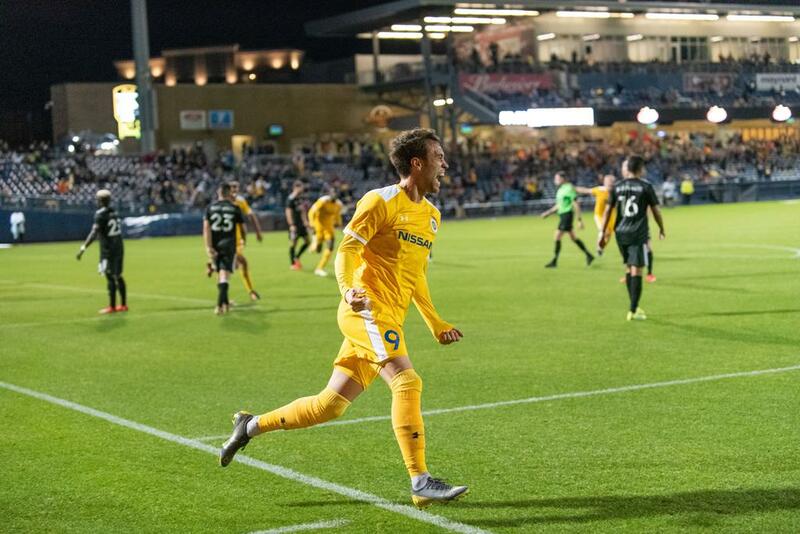 As previously mentioned, Nashville SC is coming off a season opening win against Loudoun United FC and gets to remain at home for the final game of a two-game homestand at First Tennessee Park. Head coach Gary Smith rolled out many of his new offseason signings in his first Starting XI of the season. Incoming forwards Cameron Lancaster, Daniel Rios and Kharlton Belmar and defender Ken Tribbett all were starters in their official debuts. Both Lancaster and Rios made their mark on the game with goals, but Belmar himself added three chances created and Tribbett was a focal point on the backline that earned a shutout. While Nashville SC did score twice, one of the under the radar storylines from the win was the passing that Nashville executed throughout the game. Nashville led the entire USL Championship after the first week of games with 564 passes in the game. Even more impressive was that Nashville had 26 spells of nine consecutive passes connected or more in the game. To compare, the single game high for Nashville SC in the entire 2018 season was 10 spells of 9 consecutive passes connected in a game. Individually, both starting centerbacks, Liam Doyle and Tribbett are in the top 10 with Doyle ranking fifth in the league with 78 passes and Tribbett right behind him with 76. There will be limited edition Nashville SC St. Patrick’s Day scarves available for purchase only at the game on Saturday. The weather for the game should be dry and mid 50s for the game, and tickets are still available at NashvilleSC.com/tickets for as low as $15. The game will also be broadcast locally on MyTV30 and can be streamed digitally nationwide on ESPN+. Radio broadcasts will be available in English on ESPN 94.9 Game 2 and in Spanish on El Jefe 96.7 FM.